The corporate landscape is littered with tech companies that went belly up. Some of these failures happened decades ago and some occurred during the dot-com bust around the dawning of the new millennium. Others have been more recent. What's interesting about bankruptcy and tech companies is that many of the products and innovations they created survived the demise of the companies. There are valuable lessons to be learned from the experiences of these companies. Here are five to take to heart. Growing Too Fast. Webvan had a great idea – delivering grocery orders to users’ homes in the half-hour time slot of their choice. Unfortunately, in addition to none of its senior management having any experience in the groceries field, the company grew too fast too soon. In a mere 18 months it raised $375 million in an IPO and set about building its own massive infrastructure from the ground up (like Amazon). At its height, it was delivering groceries in 8 major cities and was planning to expand to 26. There were several problems that led to its demise. Primary among them was their spending on growing operations without similar growth in sales. The grocery industry is well-known to operate on razor-thin margins to begin with, and the customer base simply did not grow as fast as its spending on expansion. The company filed for Chapter 11 Bankruptcy in 2001. New companies, even those facing a major influx of investment capital or fast growth in sales, can stay on good financial footing by keeping operational spending lean. Too Far Ahead of the Curve. Did you know that there was a fully capable video chat program available way back in 1992? There was, and it was called CUseeMe. While not a company per se (it was independently developed software), it serves to illustrate an idea that was just too far ahead of its time. Think about what the ISP situation was back in 1992 and it is clear why it failed. Users expected more than could be delivered by the computer technologies of the time. The hardware and network speeds simply weren’t there. Now we have Skype and video chats on mobile devices. Sometimes it just doesn’t pay to be too far ahead of the technology curve. Making sure the market exists for your product or service before making major investments will keep you out of hot financial water. Too Far Behind the Curve. The converse, of course, is being too far too far behind the curve. That’s the story of Wang Laboratories, a company that introduced modern word processing to the world in the 1970s. Unfortunately, while the computer industry was making grand leaps ahead technologically, Wang didn’t adapt to the new technologies. The company racked up a ton of debt during the 1980s and eventually declared Chapter 11 Bankruptcy in 1992. Keeping pace with consumer expectations and understanding where the mark is moving from your competition is critical to business success. The Partner Problem. GovWorks began growing rapidly with its sound idea to become a web portal that connected citizens to municipal government services. Although there was definitely some growing-too-fast going on, the bigger problems had to do with the founding partners not getting along, ego clashes, lack of management skills, the stresses of gathering increasing amounts of venture capital, personal power-positioning within the company and so on. Unlike Facebook, which experienced many of the same problems, GovWorks couldn’t rise above these problems and filed for Chapter 11 Bankruptcy in 2001. Choose your business partners and your corporate structure carefully. Flawed Business Model. At least a few of the businesses already mentioned have serious flaws in their business models. If there’s a fundamental problem with the model, it doesn’t matter how much money you throw at stellar advertising, it just won’t work in the long run. This was the problem at Pets.com. 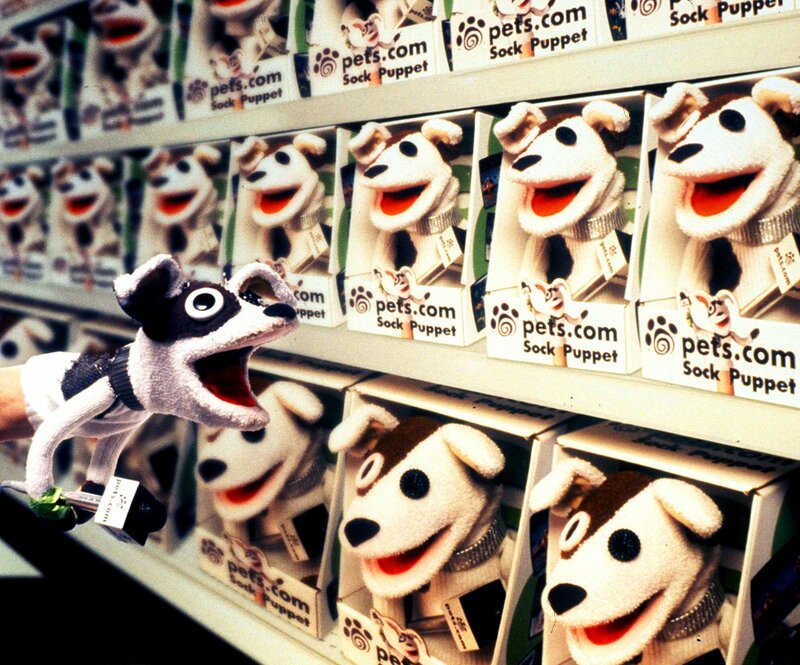 No matter how cute its talking sock puppet dog was during the Superbowl, it just couldn’t provide a compelling reason why consumers would order pet supplies online and wait several days for their delivery. The same happened with Kozmo.com, which promised delivery of many small convenience products (DVDs, snacks, etc.) to homes within one hour. The delivery costs for such small items were just too high. 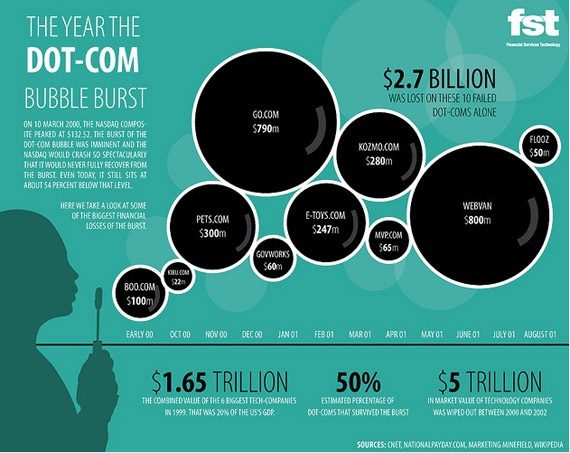 Both companies went belly-up in the dot-com bust. Smart market research will help you validate your concept. It’s clear that a great idea and a ton of venture capital do not guarantee success. Companies still need to think through their business models and carefully plan, stay ahead of the technology curve (but not too far ahead), grow at a sane pace, and effectively manage the all-too-often difficult personalities involved in tech startups. What can your business do to safeguard itself against these pitfalls?